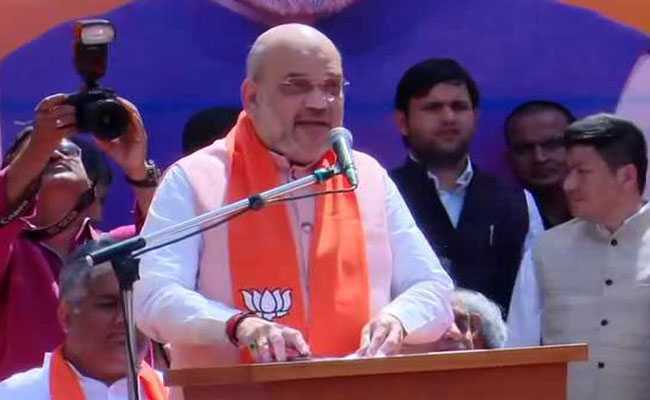 Mr Shah's candidature from Gandhinagar, which has traditionally been veteran leader LK Advani's seat, had triggered a political debate when the Bharatiya Janata Party announced its first list last week. Amit Shah will contest 2019 elections from Gandhinagar. With just two weeks to the Lok Sabha elections, poll fever has gripped the country. Prime Minister Narendra Modi will also address three rallies today- two in Assam and one in Arunachal Pradesh. 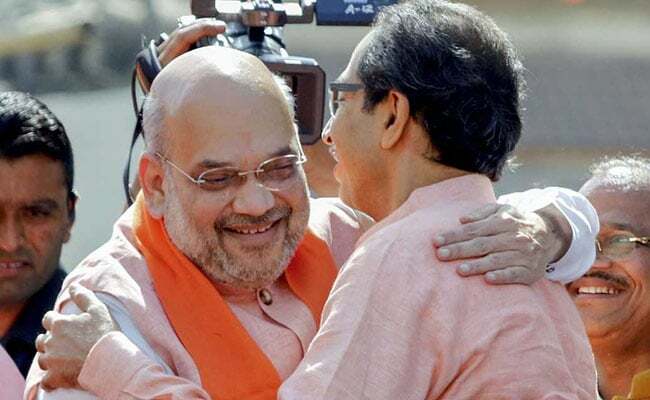 Confirming that his party has buried the hatchet with the BJP, Shiv Sena chief Uddhav Thackeray today showered praise on Prime Minister Narendra Modi while terming the united opposition as a "headless" bunch. 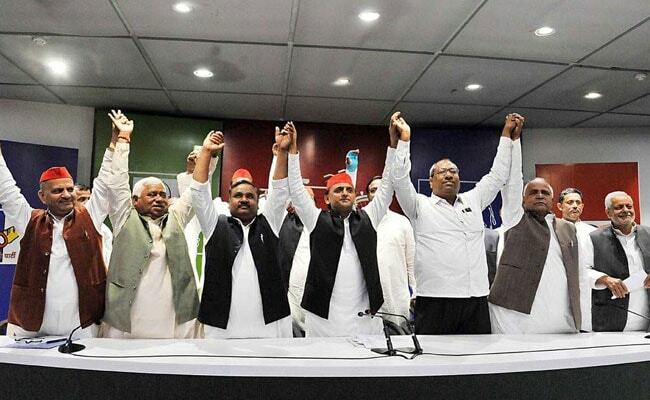 The Samajwadi Party has officially confirmed the end of its alliance with an eastern UP party whose giant killing act on the Gorakhpur Lok Sabha seat in the 2018 bypolls cemented Akhilesh Yadav's alliance or "gathbandhan" with Mayawati's Bahujan Samaj Party. 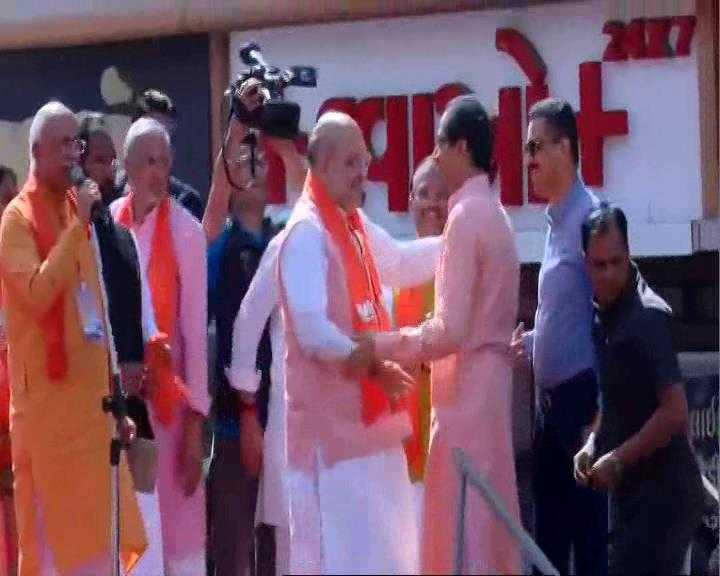 BJP Chief Amit Shah filed his nomination papers from Gandhinagar today. Arun Jaitley, Nitin Gadkari were present in a show of strength. Arun Prabha channel will ensure people of country get glimpse of the beautiful state, its culture and festivals: PM Modi at Arunachal rally. "Today is a big day... 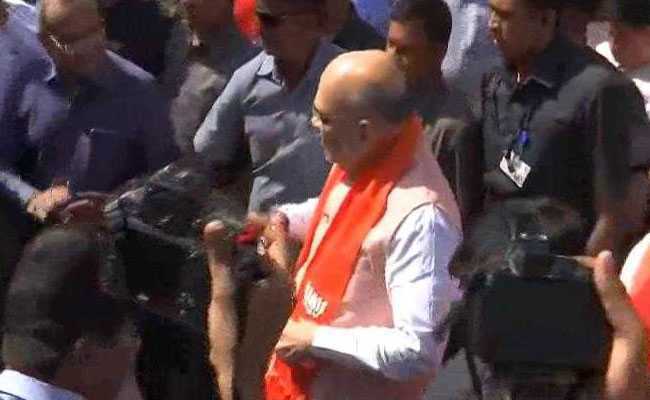 I stand here today before filing my nomination from Gandhinagar," says BJP Chief Amit Shah. "I started here in 1982 as a booth-level worker... From distributing pamphlets, putting up posters, doing booth-level work, today I am fortunate that my party - the BJP - has made me the national president of the world's largest party. 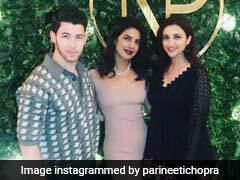 It has been a great journey for me," he said. "If you take out BJP from my life, you will be left with zero/nothing (shunya)," he added. "I am blessed that I am getting to contest from the very seat from which veteran leaders like Atal Bihari Vajpayee and LK Advani stood. This is an honour for me," Mr Shah said. "Hindutva is our breath. How will we live without Hindutva?" asks Uddhav Thackeray. Uddhav Thackeray, who is present at the rally, said: "A lot of people are suprised that I am here. Some people have stomach ache. We have a cure." On ironing out the differences with ally BJP, he said: "When we sat together we have solved our issues, our disagreements." BJP Chief Amit Shah has made our party largest in the world, Union Minister Nitin Gadkari said today. 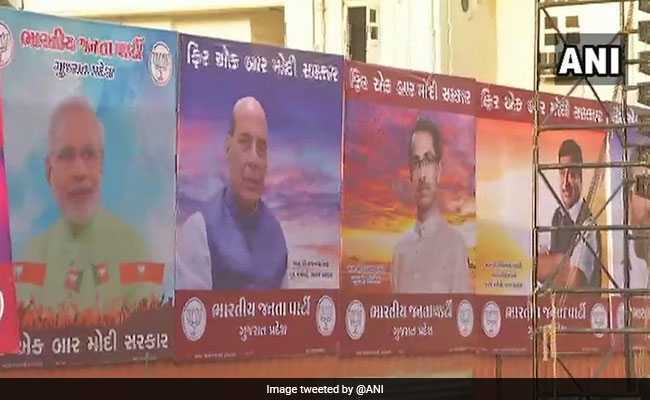 Prime Minister Narendra Modi will also address three "mega rallies" today, the BJP tweeted. 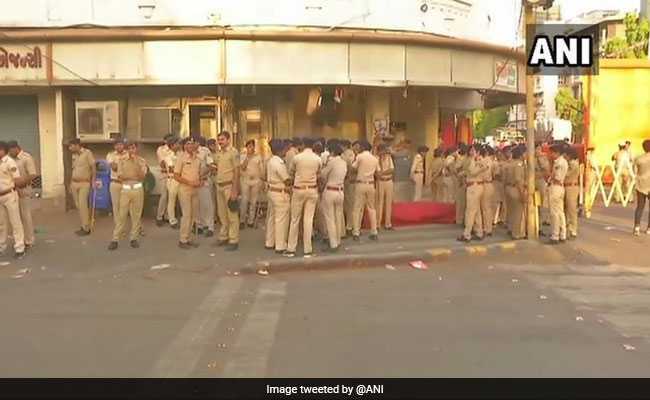 Hours before Amit Shah files nomination from Gujarat's Gandhinagar, Rajnath Singh tweeted this morning that he was leaving for Ahmedabad for the event. Leaving New Delhi for Ahmedabad. Shall accompany BJP National National President Shri @AmitShah during his filing of nomination papers today from Gandhinagar parliamentary constituency. Karnataka Congress chief Dinesh Gundu Rao has written to Election Commission of India, Central Board of Direct Taxes and President Kovind over Income Tax raids in Karnataka against the Congress, JD(S) candidates and leaders and their supporters, news agency ANI reported. 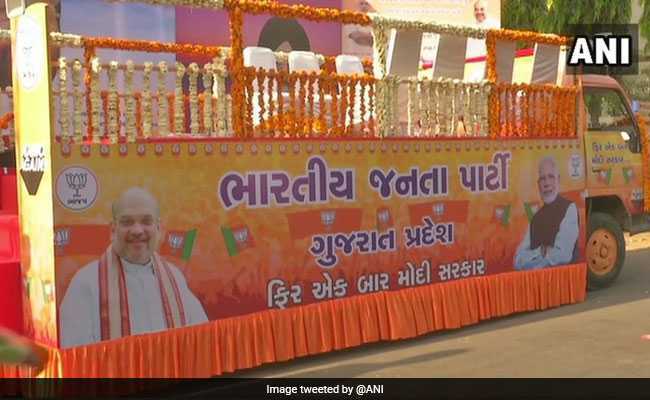 BJP President will file address a public meeting in Ahmedabad's Naranpura at 9:40 am. This will be followed by a roadshow that begins at 10:40 am. He will file nomination at around 1:20 pm.